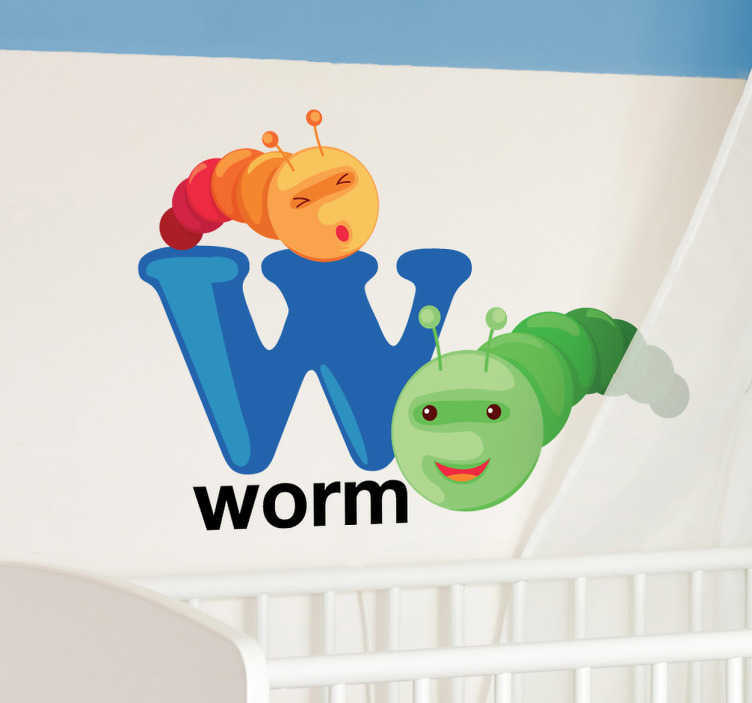 Decorative alphabet sticker with the letter W accompanied by a worm. Fantastic animal decal to decorate your child´s room so they can learn the alphabet even faster. Original worm sticker with a cartoon of this friendly animal. This wall decal is ideal for the little ones at home so they can have fun whilst learning the sounds of the alphabet and how to spell. We do have other stickers of animal letters in our catalogue. Choose your own size that best first the surface where you will place this animal sticker. It is easy to apply and remove made with anti-bubble vinyl and leaves no residue when removed.